A much loved and revered local youth American football coach was laid to rest on Monday after an outpouring of love from the many young people he has mentored and coached through the sport. Agatupu Lefao, or Coach Tupu, founded the Samoa Gridiron programme to open up a pathway for athletes in Samoa to attend college and play in the U.S.A.
Mr. Lefao passed away suddenly on 28 July at Motootua Hospital from a suspected blood clot. Speaking to the Samoa Observer, his wife, Selina Lefao, said she is still in shock considering that her husband was in perfect health. 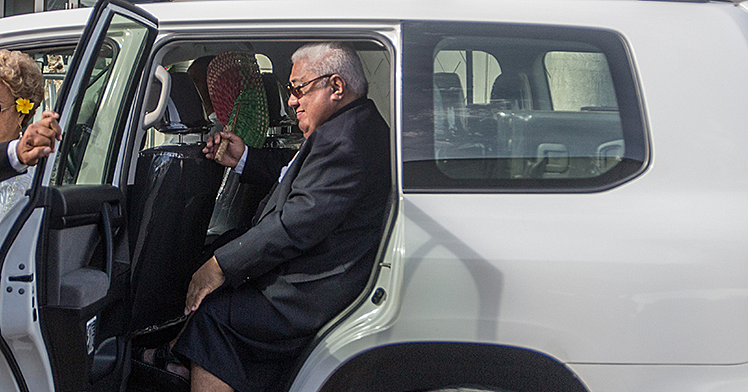 “He was perfectly healthy; he’s had full physicals in America and here in Samoa. He went to hospital on Friday night because he wasn’t feeling right. They did an E.K.G. and they said he was fine but his blood pressure was a little elevated,” she said. Mrs. Lefao said during this difficult time, she and her family have been overwhelmed with the love and support from family, friends and the community who came to pay their respects. It opened her eyes to how much her husband had influenced and made a positive impact to local kids as well as sports colleagues from Samoa to American Samoa. “On Thursday last week when the kids did their memorial of him, it was really touching. I guess we don’t really think about it on a day to day basis, but when the kids were talking about how he had affected their lives, it was quite emotional, it made me think wow." “I just have to say, we are so grateful for everyone who has supported us and loved us and has been there for us. It just feels like I’ve been in a bubble and everyone has taken care of me and the kids through the shock. In that way I’m so grateful and lucky that I’ve had so much love coming from people." On social media, young school kids posted tribute messages to their beloved Coach Tupu. 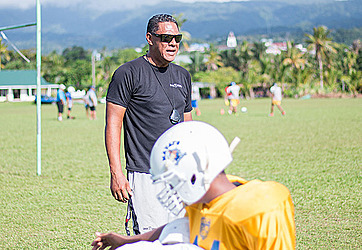 Joseph Alatoa of St. Joseph’s wrote: “Up all night thinking about you coach how you guided our lives into the perfect path and teaching us to do the right thing and become leaders and not followers and that sometimes we can sacrifice other things for right things. And how you challenged us to be the best of the best through every difficulty we faced you lift us up. Coach Lefao’s sister, Hinemoa, who travelled from California, said sports was her brother’s life and it was so important to him that the youth knew that it was a pathway to higher education. Mrs. Lefao said it was not uncommon to hear her husband ask for his team’s report cards to ensure that he knew where his athletes were academically and keep tabs on their progress. “He made them see that they could really get somewhere if you worked hard and that education can get you there and that was his message to the kids,” Hinemoa said. Just recently in the first week of July, Samoa Gridiron held a football camp for Under 14s students made of locals and youth from American Samoa. 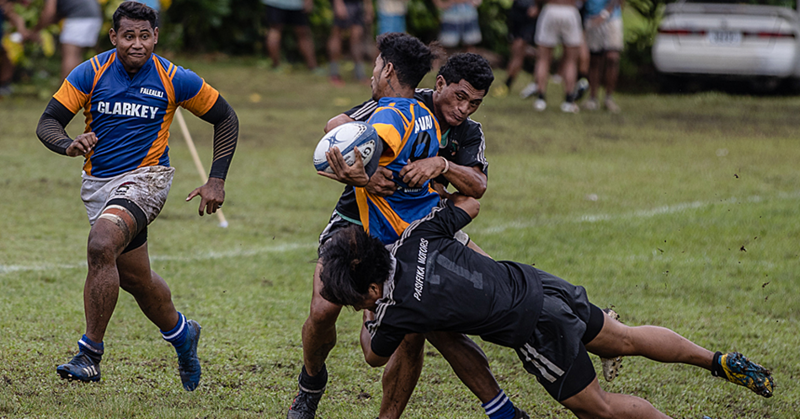 Through Coach Lefao’s hard work and effort, Samoa Gridiron had partnered with the US Embassy, Nelson Memorial Public Library and the US Peace Corps to offer after-school tutorials to the students involved in the programme. 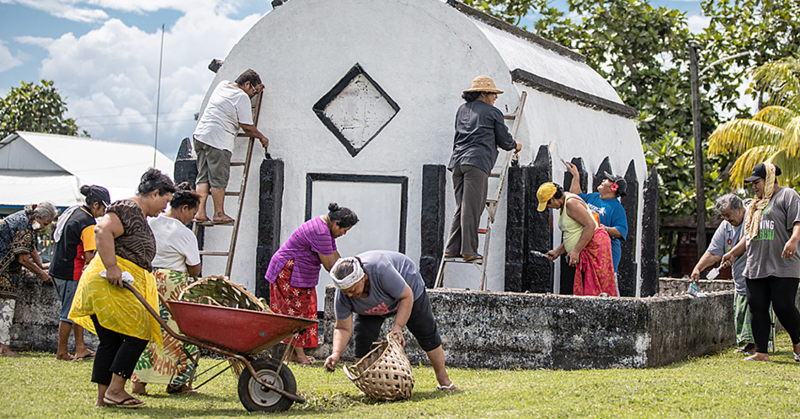 Mrs. Lefao said she hopes the programme, which is in its second year of implementation, will be continued at Pesega and Marist Primary School with the help of Callum Jones, Samoa Gridiron Coach and dear friend of Coach Tupu. Agatupu Lefao was 49 years old when he passed away and his wife Selina said that he was just shy of reaching his 50th birthday. He is survived by his wife Selina, his children; Maya, Hinemoa, Aaone, Agatupu III and his granddaughter, Daniella Selina.